In my first taste of manufacturing, I was parachuted into the Toyota plant at Motomachi, Japan. There, I was instructed to “do Kaizen.” To my senseis, it didn’t matter that I was the only one that spoke English or that this neophyte American was supposed to teach the masters of continuous improvement how to improve their processes. Rather, I observed and walked in their shoes. I discovered and communicated ideas for improving their process. Needless to say, this was a great growth experience and a lesson I was very grateful to learn. This was where I developed the skill of quickly looking at an operation to see how to enhance its pieces without being disruptive to the entire process. 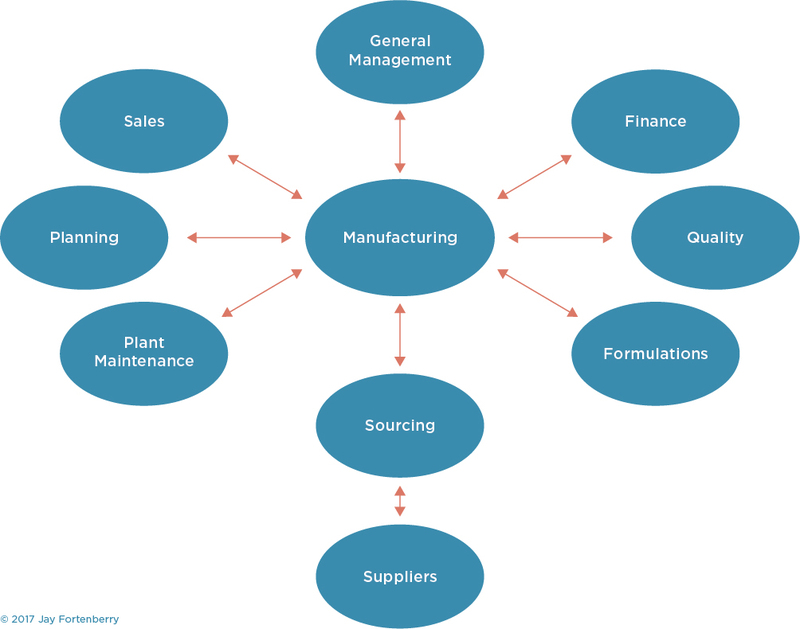 I also learned to factor in the dynamics of a supply chain, many of which are continually changing: suppliers are added, investments are made in new plants, trade regulations grow, logistics cost increase, and customers come and go. Unfortunately, many companies lack the flexibility and agility they need to maintain liquidity through tough economic times. 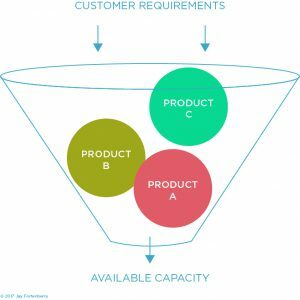 This is often a result of entrepreneurs focusing on their core competencies — designing, marketing and selling their products — while failing to grasp the rest of the supply chain as the company grows. 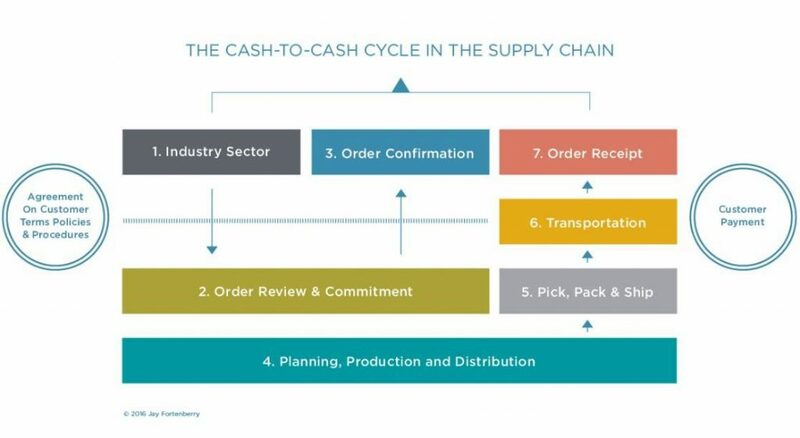 The increase in international trade and dependence on requiring competencies has meant that the supply chain has become increasingly central to the management of cash. It is defined as the management of all functions related to the flow of materials from the company’s suppliers to its customers, including purchasing, traffic, production control, manufacturing, inventory control, warehousing and shipping. 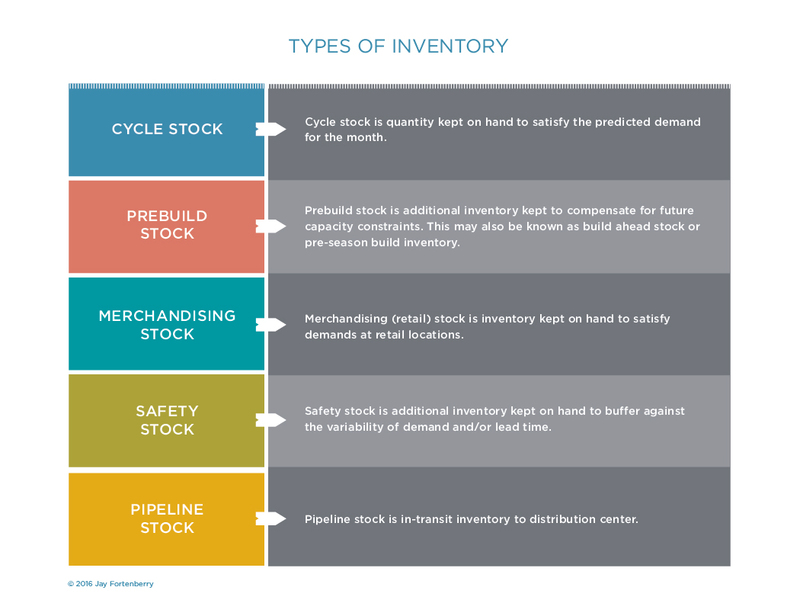 Contrary to a popular myth, inventory is located throughout the entire business, not just in a manufacturing or a distribution center. 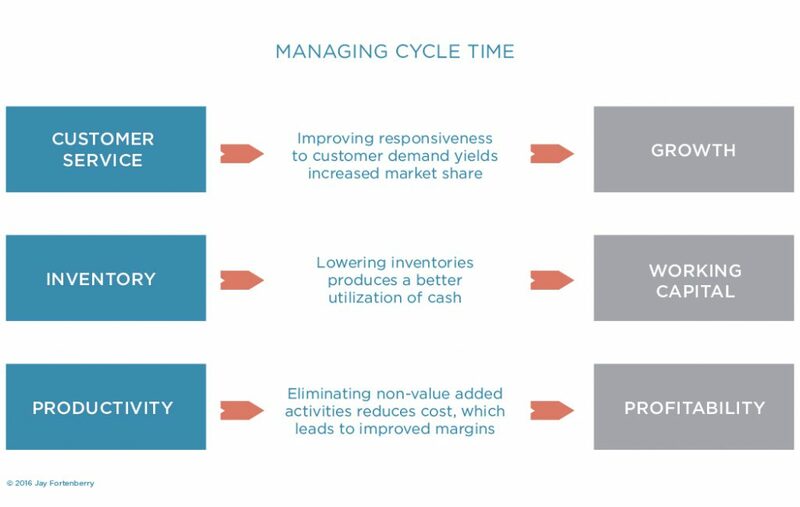 By managing cycle time, a business brings together all of its processes — from customer service to delivery — in order to direct how its cash is consumed. The first step of managing cycle time is to locate the value stream of the process. Value streams are where value is added to a product or service. The mapping of a process will assist in seeing where and how processes are completed as well as how money is spent. Reducing cycle time is not always easy, but by developing Value Stream Maps a business can understand the fundamental ways in which the company is run. 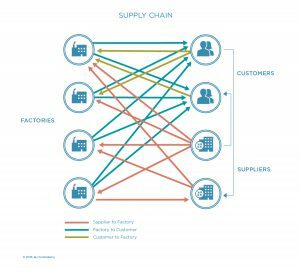 Most supply chain problems are related to the fact that capacity is finite. 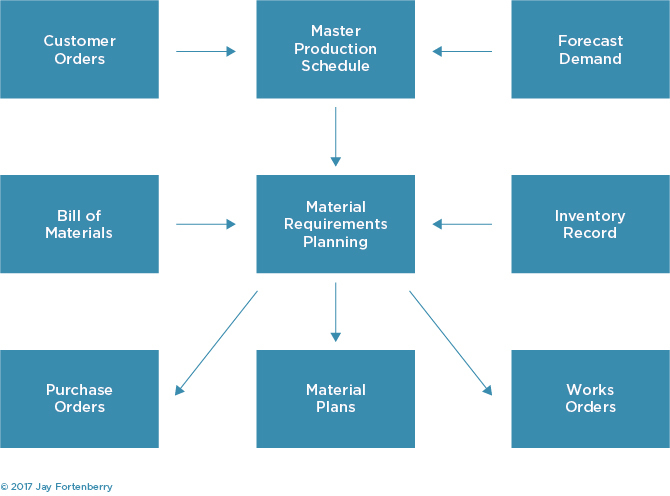 Due to the complexity of most operations, businesses have turned to the use of a Materials Resource Planning (MRP) systems to assist in planning. MRP is simply computer software that assists with the calculations needed to plan manufacturing. Where Would You Use MRP? MRP is a tool for understanding the timing of requirements for an item all the way down to the component level. 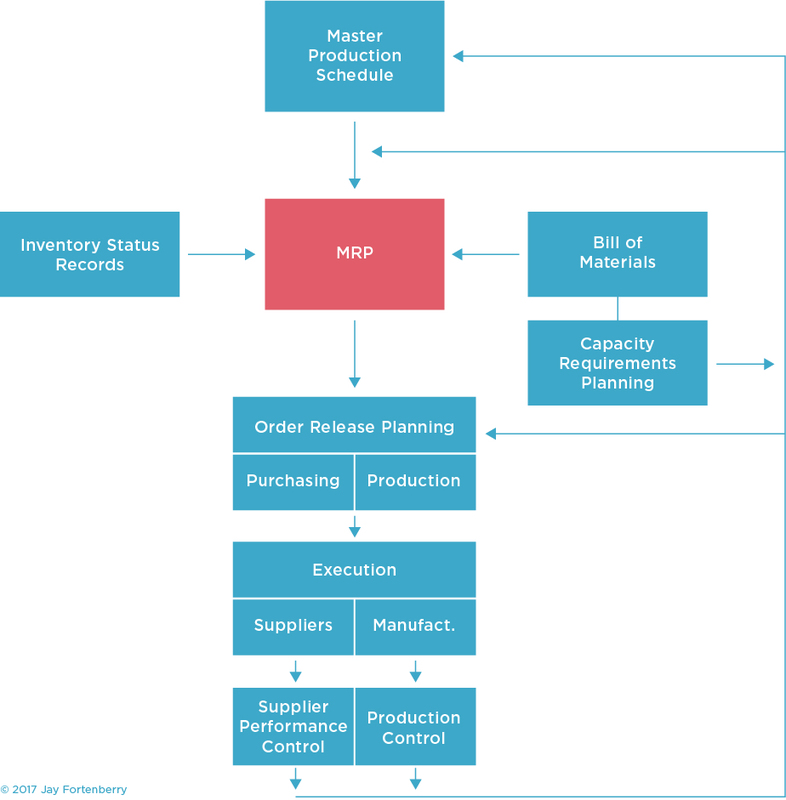 It applies to all levels of the BOM and uses existing inventories to reduce requirements. MRP is based on dependent demand, and allows lead times for ordering, transit and manufacturing to be taken into account. Analyzing and updating system for items such as lot size, lead times etc. MRP plans production so that the right material is at the right place at the right time. Data accuracy is essential. MRP does not think of or foresee events: it only provides calculations from the data it is fed. It can be a classic case of garbage in/ garbage out if it is not installed and maintained properly. Manufacturing Lead Time is the elapsed time through the manufacturing process, from the time that raw material is dispensed until when the product is available for shipment from the production site. It begins when the manufacturing site receives a signal to produce and ends when finished goods are available for shipment. 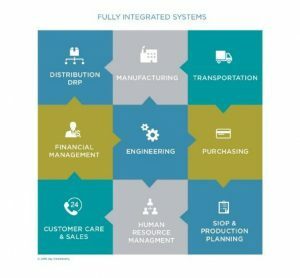 Creating an environment of simplified flows, material availability and schedule stability builds a credible process for customers and employees alike. Understanding the key elements of lead times, quality and costs allows a business to better grasp their response times, take the nervousness out of the system and help the business grow to the desired size. Particular attention should be paid to where the process pauses and sleeps. In most cases, this is non-value-added time and is typically greater than 50%. This should become the primary target of the manufacturing leaders. Workflows have to be balanced or the Takt time (the average time between the start of production of one unit and the start of production of the next unit) will increase to the time of the longest work station, thereby creating sleep (or idle) time. These potential bottlenecks rule the throughput and inventory of the overall system, so schedules should be based with all anticipated constraints. Therefore, similar to the supply chain outside the four walls of the factory, creating clean flows inside the four walls of a plant is the key to minimizing the overall cycle time, thereby minimizing working capital. Make to Stock, which uses a Bill of Material (BOM) expressed in end-use part number/catalogue number terms. Make to Order, which is based on the customer’s order. Definitions of products are typically completed just prior to production. Assemble to Order, which specifies components via a Planning BOM and utilizes inventory buffers. Flexibility is provided through hedging inventory. 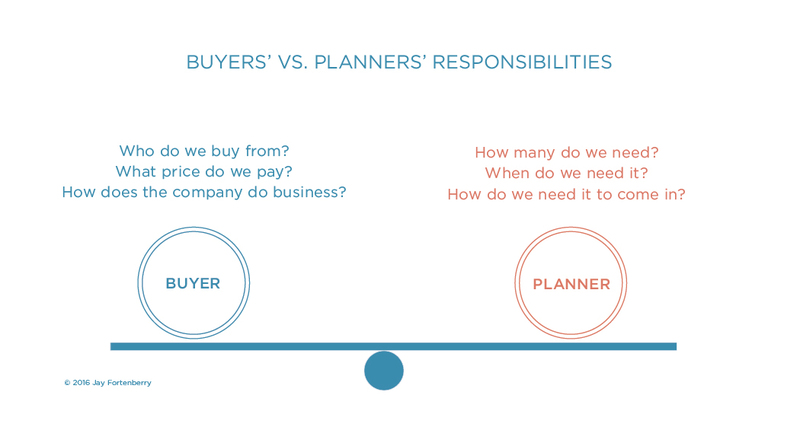 There has been an endless debate between Sourcing and Materials Management regarding the difference between Buyers’ vs. Planners’ responsibilities. 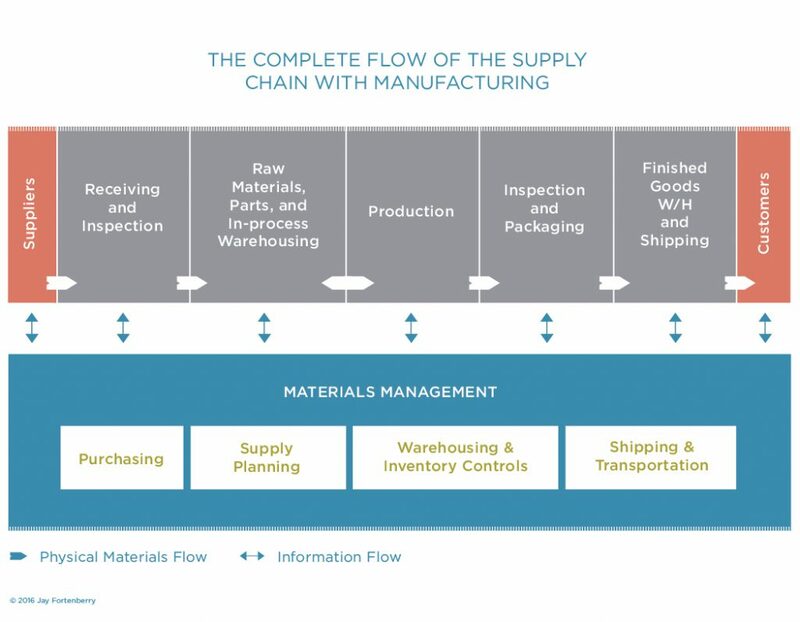 Materials Management is the coordinated effort between planning, sourcing, and suppliers to develop replenishment methods which provide for the highest availability at the lowest cost. The goal is to consistently deliver material while maintaining low inventories. How is it to be triggered? And how will it come in? The goal is to consistently deliver material availability with low inventories. This is achieved by the use of standard definitions, work and tools through partnerships and clear signals. Inventory strategy clearly lays out a process to achieve the targeted results, and can be based on things such as the voice of the customer (VOC), economic conditions or market intelligence. Inventory is created to compensate for the differences in timing between supply and demand.  The costs of not holding inventory can include lost customers, production delays, uneconomical batch sizes and missing supplier volume discounts or price advantages. Therefore, the purpose of holding inventory is to maximize service, maintain manufacturing efficiency while minimizing the cost of delivering a product. 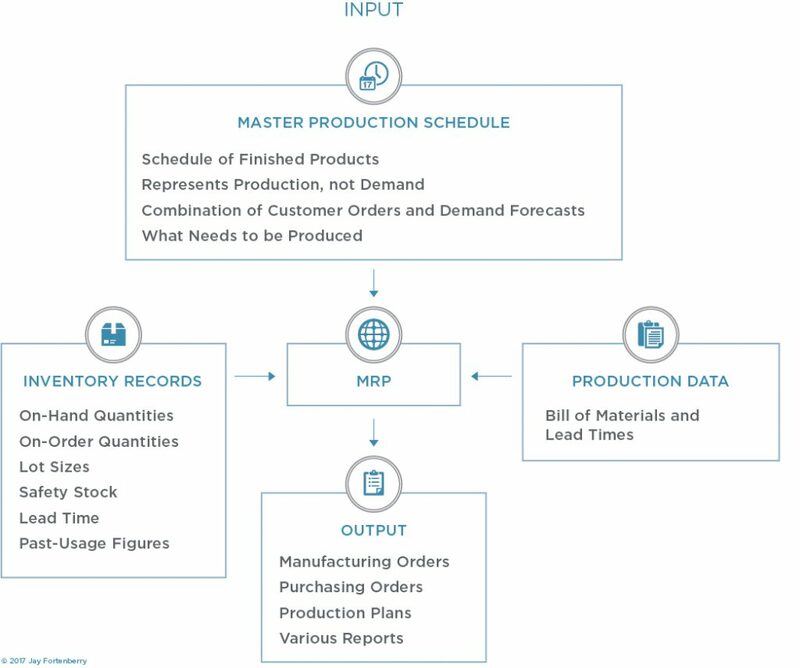 In a push system of production planning and control, MRP looks at the schedule to determine what to produce next. Conversely, a pull system such as a Kanban only looks at the next stage of production to determine what is needed – and only produces what is needed. Finally, in a VMI system the buyer of a product withdraws it and pays for it at the time of usage. 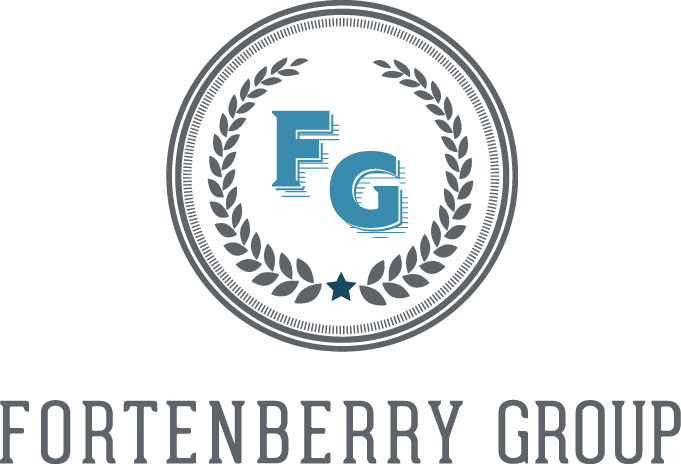 Rather, these supplements are an arrangement for how material will flow and can easily be inserted into the verbiage on the Purchase Order (PO). 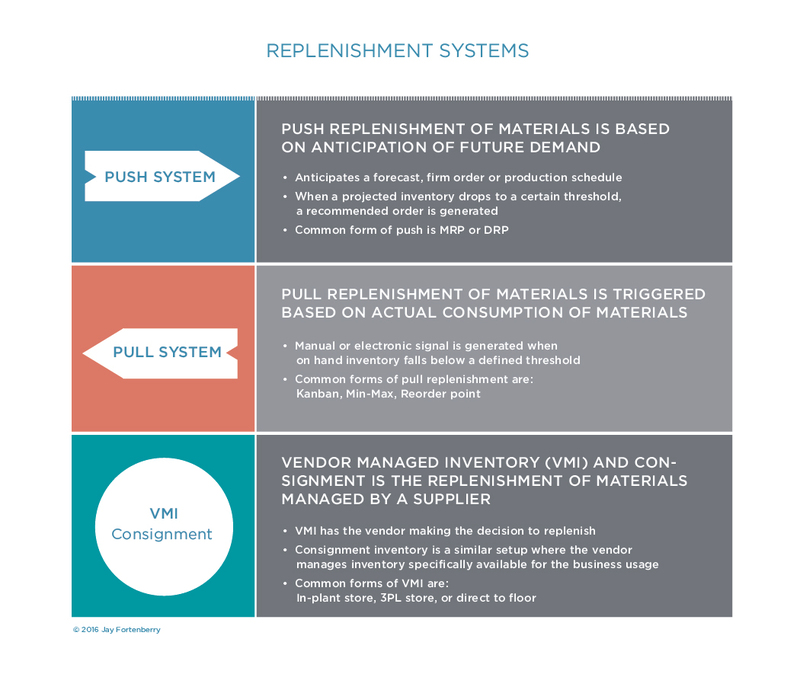 Finally, for VMI and Consignment Programs, according to generally accepted accounting rules, a supplier has additional rights for both onsite and offsite locations. A supplier has the right to remove stock from the location at its own discretion as well as to maintain control of stock levels. They have the right to physically access and count stocks. A supplier may delegate their gatekeeping responsibility to a 3rd party that is under contract, directed, controlled and paid by them. While these programs hold the allure of immediate inventory reduction, they can often be fraught with details and extra management. In short, they are not a substitute for doing the work of mapping out your value streams and managing the supply chain properly. It’s been 40 years since I landed in the Toyota plant in Motomachi, Japan. From that experience and the many plants I’ve worked in around the world since, I’ve learned that it’s all basically the same, and plant people are all the same. They love to make things. They have pride in their work and a deep affection for seeing units roll off the line. Whether it’s building hundreds of tractors, hundreds of thousands of cars, or billions of soft gels, capsules and tablets, the success of the process rests on capacity, labor and materials. In the end, it’s all about how well we grasp the situation and whether we effectively plan and manage our way through it. There are no silver bullets, just good, old-fashioned rolling up your sleeves and getting the job done.